I'll be there! I'm bringing my wife and 2010 TT all the way from St. Louis. This will be my first time there and I can't wait! CRAW, rotorhed1 and FJX2000 like this. You're in for a real treat, and especially if you've never been to a mountainous community like Ouray! I won't be able to go to Summit and I just gave up my reservation at the Ouray Chalet, so if you are looking for a hotel there is a room free there now! I just found out I'll be getting some vertebrae in my neck fused in late June and for six weeks after that I have to wear a neck collar. I won't be able to drive with the collar on, so Summit is out for me this year. 2012 Army Green "The Mule"
Wishing you the best, dude. crazysanman and xSandstormx like this. My first time too and also in a 2010 TT. Looking forward to it! CRAW and xSandstormx like this. For some of you First timers just a FWIW . 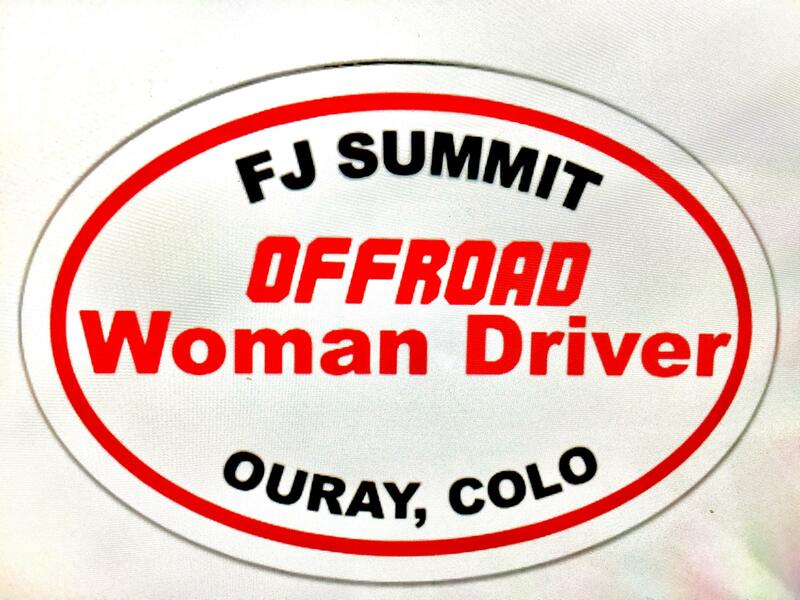 DEB FJVT normally leads a Womans group some of your wives may be interested in driving . FJX2000, debFJVT and xSandstormx like this. Usually we have a Women’s Run each day, and a few other women do trail leading as well I had sticker made for all participants! rotorhed1, Thorn661, CabinCruiser and 1 others like this. The ladies (and lots of men) can and do learn a lot from Deb. FJX2000, debFJVT and Thorn661 like this. debFJVT and Thorn661 like this. Had a wonderful time last year. It was great having my wife, Barbara, drive in the women's ride and we had a fabulous trail leader (Deb). Thanks so much. Not sure if we can make it this year. We will miss all of you.